The blockchain concept entails a growing and continuous list of records that are known as blocks. These set of blocks have a form of security and linkages between them through the aid of a mathematics called cryptography. In blockchain, every block is linked to each other with the capacity to store data in a manner that it becomes resistant to data modification. That is, the data stored on these chains of blocks are naturally configured or designed to be resistant to any form of modifications. The blockchain technology is like multiple series of spreadsheets of data that can be accessed by all concerned parties in a much-secured form. The blockchain technology was first used for online currency transactions in 2009. This technology was designed to serve as a public or general ledger that keeps and shows the records of all transactions. Subsequently, with the realization of the importance and significance of this technology, there have been increases in the rate of investment in the blockchain technology over the years. The Invention and integration of the blockchain technology into transactions made the process of records and data storage much safer and easier without the need for a third party trusted company or a central system. The blockchain technology basically stands as a global decentralized source of trust. This technology is considered revolutionary because the blockchain technology has evolved beyond the currency trading into virtually any field and sector provided it deals with records and data such as the medical sector, transportation, and many others to create a peer to peer secured link. 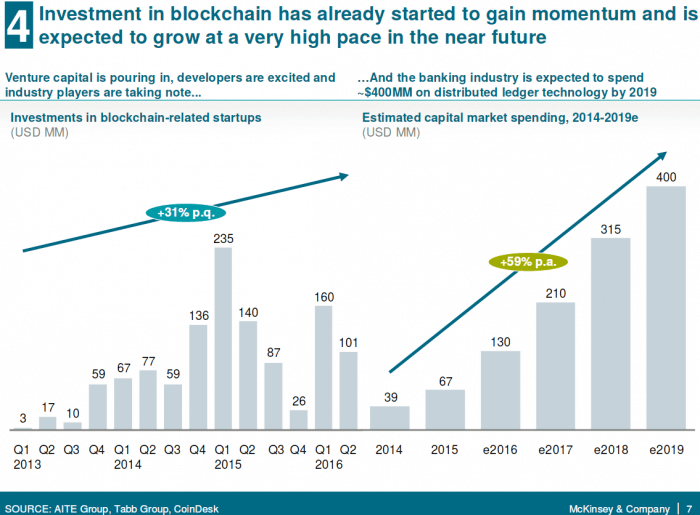 Consequently, the adoption of the blockchain technology for an enterprise application in various regions is anticipated to reach $19.9 billion by 2025. The blockchain technology functions in a way that data cannot be altered without alteration to almost an endless chain of blocks, hence it seems like an internet of its own. In August 2017, Alibaba partnered with Changzhou city to launch its first blockchain technology in healthcare. Additionally, PokitDok, Patientory, Guardtime, and Gem are some major startups who have started bringing this blockchain technology in health care to the public domain. 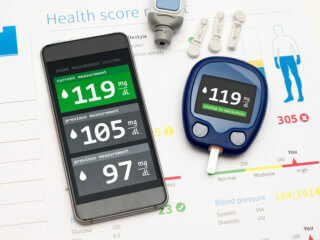 The concept of connected healthcare is a form of technology-enabled health care that basically deals with the idea of integrating technology into the processes of healthcare delivery. The idea is to make health care services very easy and flexing through the creation of a platform that links people together primarily to share details of their health history and records with one another and get professional advice. The concept of connected healthcare really hopes to establish a technologically assisted ease of access to medical services. With evolution and digitization of virtually everything, it is only praiseworthy to digitize health service delivery. This advancement and connectivity in health care delivery cut off all the time-wasting process of going to a hospital through the normal conventional way for medical examination and to get health care services. Additionally, the ever-increasing world population with increasing healthcare trends has made it imperative to advance and ease the processes of basic health care delivery through connected health care. In the quest to ease the processes of health care delivery, Nokia the second largest phone vendor has gone into partnership with OP Financial Group to develop several amazing technologies to foster the connected health drive. Some of these products include the Nokia Steel heart rate and activity watch which is designed to keep a track record of a person’s activities and heart rate using the blockchain technology. Additionally, Nokia has gone into partnership with the Helsinki University hospital to develop a device that remotely monitors neurology outpatients using the blockchain technology. Furthermore, Nokia launched the pilot project on blockchain technology to ensure the security of peoples medical records. 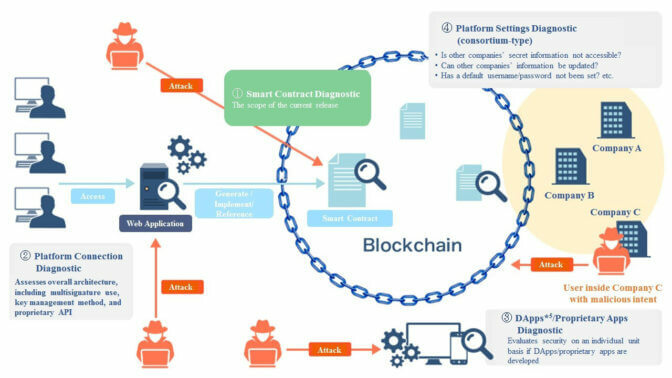 The blockchain technology is designed to ensure trust and confidentiality in the data sharing process through is encrypted peer to peer data sharing structure. The blockchain technology gives each connected member both private and public key access that serves as the participant’s identification key. Both the public and private keys are linked through cryptographically in a way that access is only one directional using the private key. Therefore, access to a patient’s data on the blockchain is only possible when you have access to that patient’s private key. The introduction of some financial incentives through OP Financial for participants of the pilot project has really boosted the level of response for the project. Blockchain technology and healthcare data: Solution or Problem? The nature and science of the blockchain technology make it difficult for data alterations and modification and this has been proven to be correct over the years. Consequently, the use of the blockchain technology in the medical sector for the purpose of enhancing health care delivery is a significant advancement in the medical field as this will revolutionize the way data is shared between users. The blockchain technology which by its configuration and design seems like an internet of its own due to its robustness will ease the way healthcare data is shared between concerned parties. The blockchain technology, as established in the financial sector, encrypts the data in each block from modification and illegal access. Therefore the sharing of healthcare data is most secured with the integration of the blockchain technology into health care services delivery. The secured end to end nature of this blocking technology creates a very significant level of trust between the users. It creates the avenues for confidentiality and reliability in sharing of healthcare data without any fear of interference or modifications to the shared data. The blockchain technology is a revolutionary advancement in data security that has existed since 2008. This technology has really proven its worth in the financial sector. It has now been discovered that this technology can actually serve in virtually any field of life. The blockchain technology has become the keyword in the health sector today. The concept of integrating this technology into health care is set to revolutionize and digitize health care services. The safety and security of data using the blockchain technology will create trust between users and significantly ease the method and processes of healthcare services. 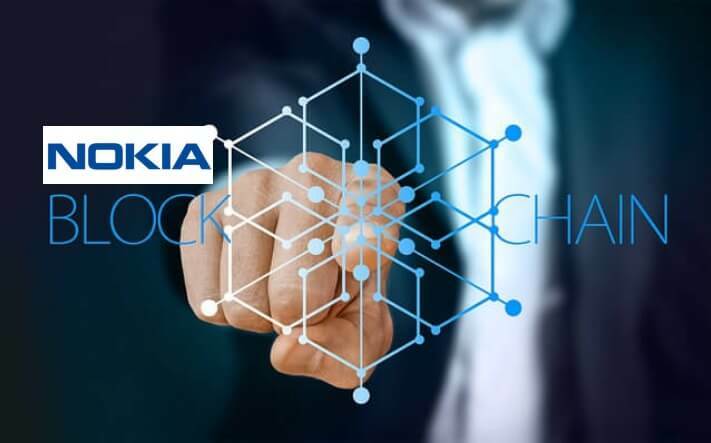 Apparently, the drive by Nokia to lead in the digitization of health care services through the adoption of blockchain technology will in the nearest future transform the traditional health care delivery system into a more reliable and sophisticated system. ​Ransomware attacks on clinics | What are the risks and how to prevent them?Digital health startup market in Israel | What's the secret behind its growth?